Medium: Watercolor and Gouache on Arches 140 lb. watercolor paper, mounted on a cradled wood panel and sealed with an acid free wax sealer. 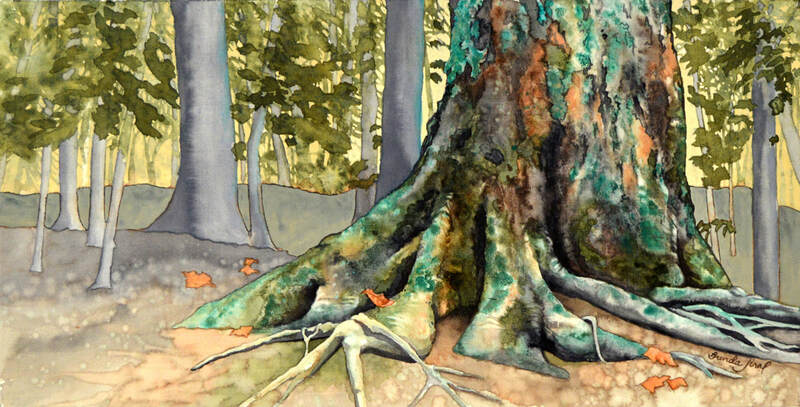 Painting Size: 20" x 10"
A solitary, moss-covered tree trunk, with outstretched roots, surrounded by a quiet forest in muted shades of grey and green.